"The number one thing they were created for was to help settle the west," says Dan Beard, the agency's commissioner under the Clinton administration. "And they succeeded. High five and a fist bump." "I wanted to be the commissioner of the Bureau of Reclamation. I lobbied for the job," Beard says, "I wanted that job because I wanted to change the organization from the inside out. Once I got the job I did make a lot of changes. I reduced the number of employees, I changed the emphasis of the kinds of projects we undertook, I changed our budget. I did a lot of things. I thought that those changes were permanent. I thought they would be lasting. And I was wrong." 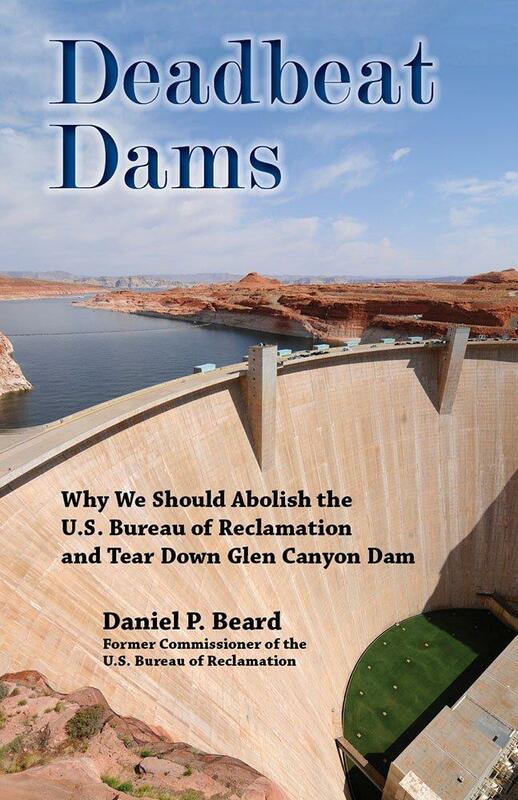 When Dan Beard retired from public service, he decided to write a book in which he argues for getting rid of the Bureau of Reclamation entirely. "The only way we’re going to making a lasting difference is to abolish the organization, to get rid of it," Beard says he says this reluctantly and sadly. "I spent much of my career trying to make it a different organization and to make a change, but I couldn’t do it and I don’t think anyone else can either, so I think the best thing to do is to abolish the organization and take the parts that are meaningful and need to be carried out by a federal agency, and allow those to be done by someone else." The second part of the subtitle to his book, Deadbeat Dams, is even more arresting: Tear Down Glen Canyon Dam. "Glen Canyon is an anachronism," says Beard. "It was a political accident. And because of the drought and climate change, I think it has amply demonstrated that it doesn’t have a future. The question is why should we keep it there? I guess it could be a wonderful reminder of our stupidity or our short-sightedness. I think we need to move forward with a bolder agenda. And that agenda ought to be removing the structure." Glen Canyon Dam flooded and continues to flood one of the most beautiful canyons in the world, argues Beard. And for what? We don’t market the water stored in Lake Powell, and we don’t produce peak power from the dam. There are plenty of alternatives to the hydro-electric power it generates and it’s less than half full. We accept dams as a part of our landscape and part of our vocabulary, he points out. We put them on our maps. We’re proud of them. We find comfort in them. They seem so permanent and so necessary. But Beard argues that "the reality is that a dam is there simply because we made a political decision to put it there and we can make a political decision to take it out." Dan Beard isn’t the only voice advocating for dam removal in the West. In fact, it was on a trip to Utah last year that he was inspired to finish writing Deadbeat Dams after being asked to introduce a showing of the film Damnation, a documentary produced by the outdoor apparel company Patagonia. "I fully expected when I went in the room there would be 10 people there as old as I am, with Birkenstocks." But that wasn't the case at all when Beard showed up. "You could have knocked me over with a feather because every person there was under 35. I was astounded. I didn’t know there were that many young people interested in water issues and particularly water policy reform and dam removal." Dan Beard is taking his message and his book tour to college campuses around the West, hoping to reach this younger audience of future water managers...or the future leaders of a government agency that he hopes won’t exist long enough for any of them to take over. A longer version of Dan Beard's interview for The Source will air Friday, April 24 at 9:00 a.m.